April will soon be here and it brings with it the return of many of our fine feathered friends. I become almost giddy when I see our first Baltimore Oriole or Hummingbird. These two birds have special feeders which can be seen right outside our dining room window. They are not the only birds that grace us with their beauty...there are many that gather around the feeders or in the lilac trees in the gardens. Most of the birds have what we call "assigned" seating. Orioles and Hummingbirds can be seen on the railings of the deck. Woodpeckers (three different varieties) can be seen at their feeders that have been stocked with raw Spanish nuts. The American Finches are hanging out in the garden outside the common seating area. The Chickadee stays by the feeders and this dove decided to house her nest outside one of our cottages. These are just a couple of examples of the birds we see here at Hawk Valley. In addition to those pictured we see: Indigo Bunting, Scarlet Tanager, Blue Birds, Hawks, Eagles, Sparrows, Warblers, Thrush, Grosbeak, Herons, and many more that I can't even identify. We welcome all of our guests to find a "perch", take the bird book and see how many birds you can identify. Below you see Baltimore Orioles, American Finches, and Hummingbirds. 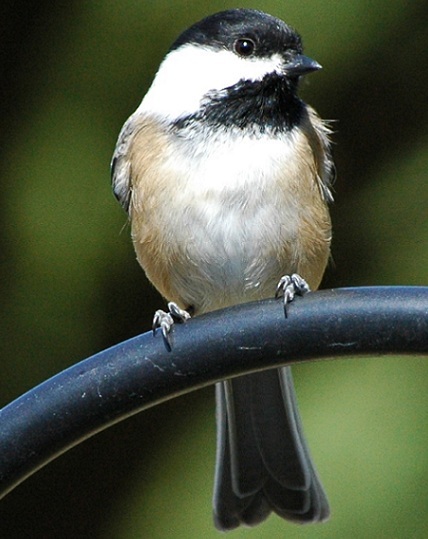 There are some wonderful birding tours in and around Galena. 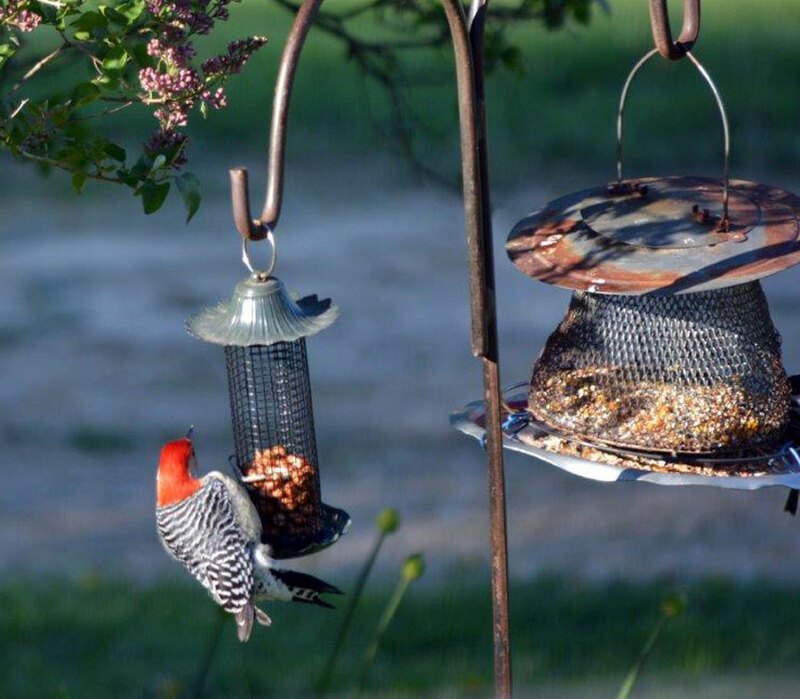 Also, while here in Galena, stop by Wild Birds Unlimited and check out the many items they have for our Fine Feathered Friends. Remember that March Comes in Like a Lion and Goes Out Like a Lamb. So in a few short weeks, we will see all sorts of signs of spring. In the meantime, there are plenty of things to do while we wait for that lamb.